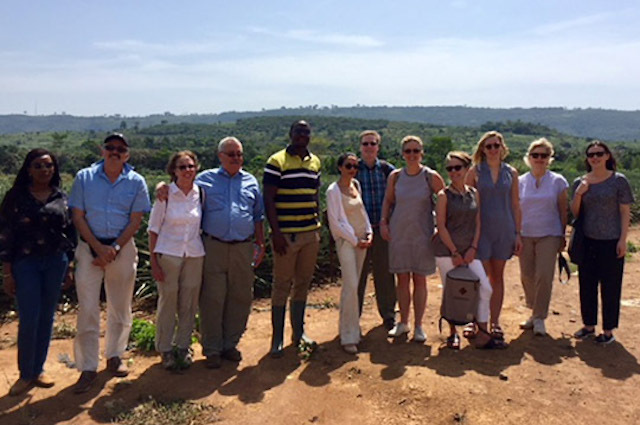 TechnoServe's Global Advisory Council visited the pineapple farm of Kwame Nkanash Boamah (center), who runs Nhyria Farms & Processing Ltd. Nhria Farms not only provides a better livelihood for Kwame, but also creates local jobs and reliable markets for nearby farmers. 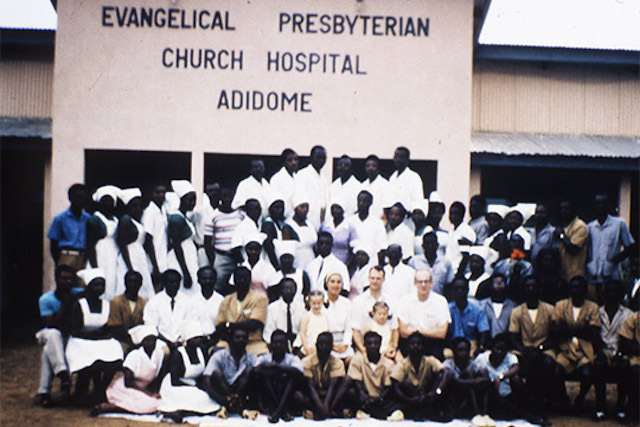 In 1963, Ed Bullard and his young family traveled to Adidome, Ghana from Greenwich, Connecticut for a year of volunteer service. Ed was taken by Ghana’s rich heritage and the spirit of its people, but troubled by their struggles and inability – despite their hard work – to access the tools and opportunity they needed to lift themselves out of poverty. In response to what he witnessed, Ed launched TechnoServe, “technology in the service of mankind,” in 1968 to connect poor people to information, technical training, and market opportunities so that they might build better livelihoods for themselves and their families. 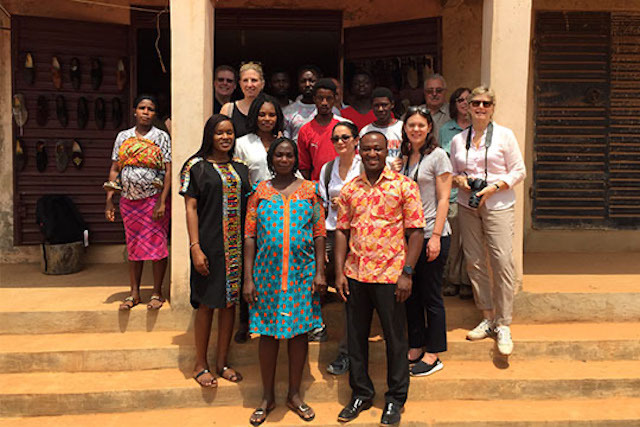 In February 2018, members of the Global Advisory Council (GAC) – a community of supporters from around the world who deeply care about making a difference and share TechnoServe’s vision by acting as ambassadors, providing financial support, and strategic advice – returned to Ghana to celebrate 50 years of TechnoServe’s monumental achievements in helping women and men gain capabilities to realize their full potential. Ghana has changed significantly since Ed got started. Since 1960, the nation’s life expectancy has increased by more than 15 years, and the mortality rate of children under 5 has dropped to a little over a quarter of the rates Ed witnessed when he was administering Adidome’s village hospital. There has been impressive economic growth behind this progress. Over the same time period, Ghana’s population has grown more than four times to approximately 28 million people, and its GDP has risen from US$1 billion to $23 billion. 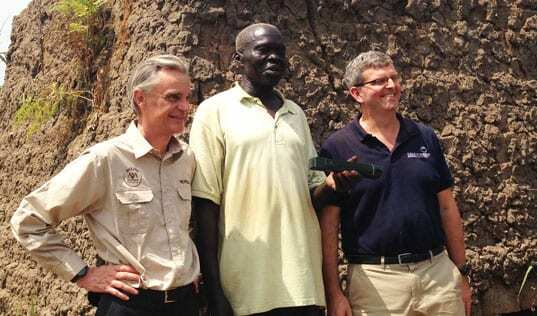 Ed Bullard founded TechnoServe after spending a year in Adidome, Ghana. While visiting with other GAC members 50 years later, Yasmine Mahdavi observed the change that economic growth had created across the nation. True to Ed’s vision, stronger markets have led to more prosperous communities, and since its launch in 1968, TechnoServe has worked hard to be part of this change. In 2017 alone, TechnoServe Ghana impacted the lives of 16,000 people by building the capacity of individuals and businesses, promoting connection among market participants, and improving the business environment. Every community we visited – whether in the Accra metropolis or the nearby Central and Ashanti regions – was lively with growth and enterprise, from new high-rise construction, paved roads, uniformed schoolchildren walking hand-in-hand to and from school, and goats and chickens wandering about bustling markets where you could purchase dried fish, beans, clothes, coffins, and more. Activity was everywhere – with eighty percent of Ghana’s workforce still employed in the informal sector, enterprise is a way of life. Just under half of the of the labor force participates in agriculture – Ghana is the second largest producer of cocoa, also producing shea, rice, and other key crops – and less than a fifth is employed in industry, such as mining, lumber, food processing, or petroleum. Informed by the 2020 West Africa strategy, TechnoServe Ghana’s priorities focus on creating formal employment opportunities for the nation’s large population of unemployed youth. With insufficient industry to provide jobs for the number of youth entering the workforce each year, creating robust, formal employment requires giving young people necessary skills and market opportunities to create their own livelihoods through entrepreneurship. Given the country’s strong dependence on agriculture, the TechnoServe Ghana team will develop larger scale interventions in the grains, livestock, and other value chains; will increase domestic processing capability by expanding on existing successful models in specific cash crops such as cashew; and will scale best practices for agro- and entrepreneurship, particularly among women and youth. With a staff of 44, TechnoServe’s Ghana team currently manages four active projects. We visited several projects in the Ashanti and Accra metro regions and witnessed the outstanding impact TechnoServe is making on individuals and their communities. One entrepreneur we visited in the Ashanti Region was Vivian Awotwe, a dynamic woman with exceptional customer service skills, and founder of Obaasima Leather Works. As a result of joining TechnoServe’s Enhancing Growth in New Enterprises (ENGINE) project, she has made tremendous progress in her business. She’s mechanized part of her production and worked with TechnoServe staff to build her operational capacity. Further, through the African Youth Agripreneurship Programme (AYAP), funded by Barclays, Obaasima Leather Works will soon be relocating to a larger worksite, which will also serve as an outlet and training center for the company, allowing her to not only build her business, but skills and employment opportunities throughout her community. Vivian Awotwe (front left), founder of Obaasima Leather Works, stops for a photo with GAC members and TechnoServe Ghana staff. In the Eastern Region, we met Kwame Nkanash Boamah, who runs Nhyria Farms & Processing Ltd., a start-up specializing in the production of pineapple and fresh, ready-to-drink fruit juice. 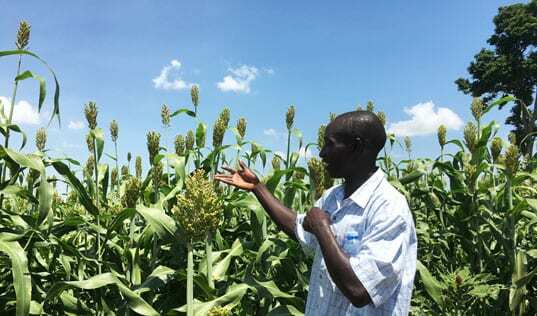 Located in the hillsides of Akwapim Ranges, Nhyria Farms is headed by three brothers who were teaming up to turn around their family business, which had struggled to take off. When Kwame began working with TechnoServe staff, he learned the necessary skills to improve his business plan and internal operations. By supporting businesses like Nhyria Farms to succeed, TechnoServe is not only improving incomes for Kwame, his brothers, and their families, but also creating local jobs, reliable markets for nearby farmers, and access to quality, nutritious juices for the community. Witnessing firsthand the ripple effect that strong businesses can have in emerging markets, I was excited to see how TechnoServe continues to catalyze and leverage the type progress that Ghana has seen in the past 50 years. I was moved by the beneficiaries’ industrious attitude and determination to propel forward. 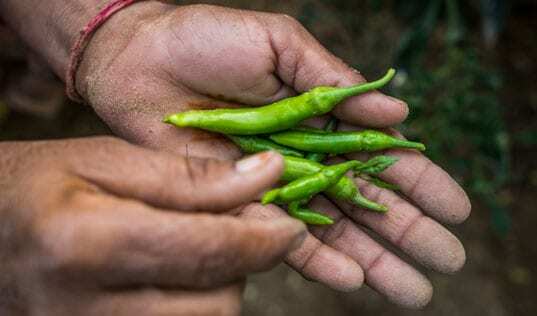 In the face of limited resources, their inspiring journeys were heartfelt, and I wondered what their lives would be like if our paths hadn’t crossed. On the 50th anniversary of TechnoServe, GAC members are proud of its continued success in Ghana and around the world. We are delighted to support the work that allows individuals to gain the capabilities to realize their potential. Fighting poverty starts with one individual, family, and community at a time. Global Advisory Council members thank the dedicated TechnoServe staff in the Ghana and Washington, D.C. offices for their superb development and execution of this visit.